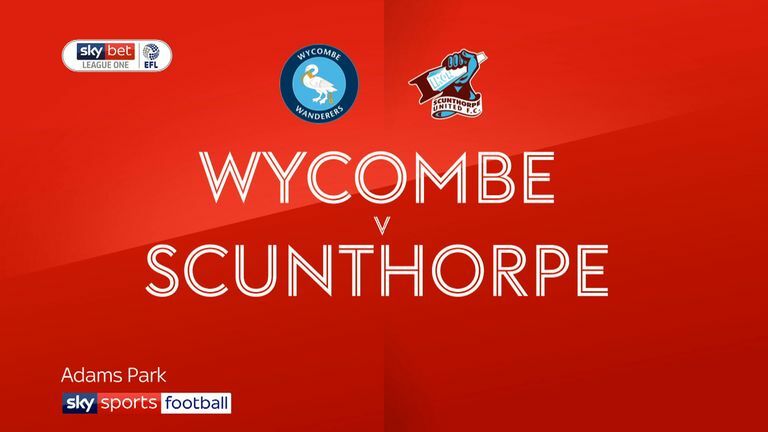 Highlights of the Sky Bet League One match between Wycombe Wanderers and Scunthorpe United. Craig Mackail-Smith completed a remarkable Wycombe comeback by scoring a winner in injury time as the 10-man Chairboys came back from 2-0 down to beat Scunthorpe 3-2 in a dramatic match at Adams Park. Mackail-Smith punished a mistake from defender Rory McArdle, racing clear before finishing expertly past Jak Alnwick. 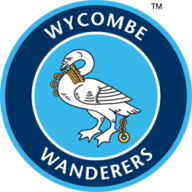 It looked like Wycombe would settle for a valiant point as Fred Onyedinma curled home a beauty from 20 yards on 53 minutes to make it 2-2 after wonderful hold-up play by Adebayo Akinfenwa. 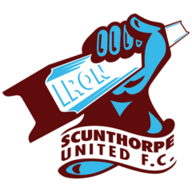 Scunthorpe started the game in lightning fashion with two goals in the opening seven minutes as they threatened to run riot. Ryan Colclough scored after just 18 seconds, cutting in from the left and firing past a stranded Ryan Allsop and Stephen Humphrys made it 2-0 in double-quick time, clinically slotting past the Wycombe keeper. However, Dominic Gape gave Wycombe hope with a brilliant finish on 26 minutes to reduce the arrears. Allsop was sent off with 10 minutes to go after being given a straight red for a foul on Ike Ugbo before Mackail-Smith's deserved winner.